It is a common phenomenon that when you want to open games, an error warning shows up and tells you that this application failed to start because MSVCR71.dll was not found on Windows 10. Normally, like MSVCR110.dll file, this Msvcr71.dll file is Windows system files that belong to Microsoft Virtual Redistributable C++ package on Windows 10. Perhaps uninstalling and reinstalling the Virtual redistributable C++ package can be the way you manage to fix MSVCR71.dll missing on Windows 10. MSVCR71.dll file is used for at large on Windows 7, 8, 10. As one of the DLL (Dynamic Library Link) files, this MSVCR71.dll file is required by some programs on Windows 10, like some gaming applications. That explained perfectly why your games failed to start when the Msvcr71.dll is not found from Windows 10. It is high time that you tried to fix this Msvcr71.dll unfound on Windows 10 from the perspective of dealing with the Visual redistributable C++ package, the problematic software itself, and system errors. Or for some users, you can even manage to download the MSVCR71.dll file or copy this file for your PC. Now that the MSVCR71.dll is a component of redistributable C++ package, upon you found the msvcr71.dll is missing from Windows 10, you can firstly resort to downloading the up-to-date Microsoft Virtual redistributable C++ 2015 for your PC. It is highly likely that you are able to recover the missing MSVCR71.dll for Windows 10. 1. Navigate to Microsoft official site and click Download. That is to download Microsoft Virtual Redistributable C++ package. 2. Then in Choose the download that you want, tick the box of the File Name and then hit Next to get the package. For Windows 10 32-bit users, choose to check the box of vc_redist.x86.exe. For Windows 10 64-bit users, check the box of vc_redist.x64.exe. 3. Install the updated Microsoft Virtual Redistributable C++ package on the PC without MSVCR71.dll file. Along with the Virtual C++ package, it is possible your PC now owns the Msvcr71.dll system file. 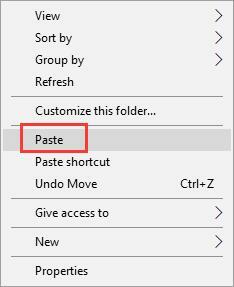 As every computer has its own Windows 10 MSVCR71.dll file, since your PC misses the Msvcr71.dll on Windows 10, you are suggested to copy and paste the targeted file from another computer. With the copied MSVCR71.dll file, you can open and run the applications smoothly. Yet before you started to copy the file, there is much need for you to make sure the other PC has the same Windows edition with your problematic computer encountering MSVCR71.dll was not found Windows 10. You can do that by right click This PC and then select its Properties to check the Windows editions of two computers. Or it is also feasible to use Command Prompt to see it if you like, just go ahead to move on. 1. 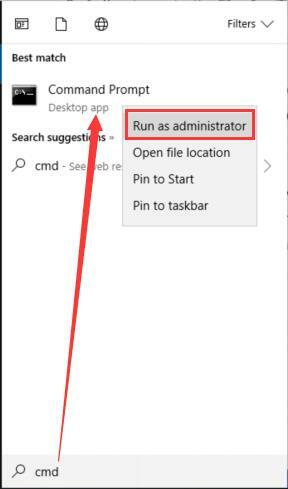 Search Command Prompt in the search box and then right click the best-matched to Run as administrator. 2. Then in Command Prompt, enter the command control /name microsoft.system and then hit Enter to run this command. 3. After that, in the other PC, open the File Explorer, go to C:\Windows\System32 and then right click theMSVCR71.dll file to Copy it. 4. Then save the copied MSVCR71.dll file into a USB flash drive. 5. On your problematic PC with unfound MSVCR71.dll file, open the Command Prompt, and then run the command control /name microsoft.system as well. 6. Then on your PC, navigate to File Explorer C:\Windows\System32 as well, and in System 32 file, right click to Paste the MSVCR71.dll you have just copied. 7. On your PC, in Command Prompt, type in regsvr32 msvcr71.dll and then press Enter to execute this command. 8. Close the Command Prompt and open the game again to check if you can run it. From the whole process, you will have got the MSVCR71.dll file from another computer. Only in this way can the MSVCR71 unavailable be fixed successfully. There is another way you can turn to when facing Windows 10 MSVCR71.dll not found, which is to get the MSVCR71.dll online and download it on your own. You can get ready to download and install the MSVCR71.dll file for your PC. Go to the DLL File Downloader to find the MSVCR71.dll file you need and install it on your PC with no such file. In this sense, you can either decide to resolve this MSVCR71.dll file is not available in virtue of re-downloading the Virtual Redistributable C++ package or downloading the MSVCR71.dll directly. Prev Post How to Use AMD Virtual Super Resolution on Windows 10?